President Donald Trump used an occasion this week to remind people that he's in charge. "There's only one person that's running it," he said, responding to a question about immigration policy. But while Trump appears to be taking control of his administration, Robert Mueller's report looms large even with the special counsel having wrapped up his work. 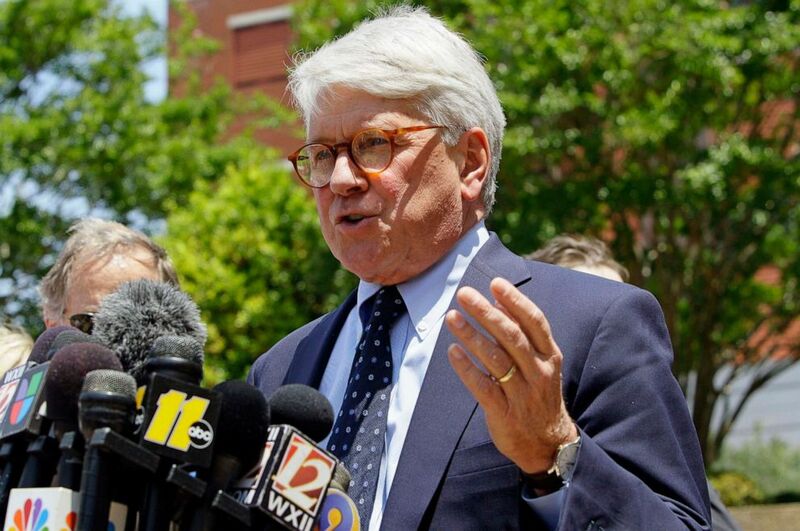 Attorney Greg Craig is seen prior to a court appearance for former presidential candidate John Edwards in Winston-Salem, N.C., June 3, 2011. The arrest of Julian Assange and the indictment of former Obama White House counsel Gregory Craig serve as reminders that things Mueller stirred up won't settle themselves down. And we still haven't heard any last words from the Southern District of New York. Attorney General William Barr, in stating "spying did occur" on the Trump campaign, has raised the stakes around what Mueller actually found. The time between Barr's summary and the actual release of the Mueller report has been long enough for expectations and perceptions to do a few 180s. Trump has again this week shown his power to direct the political narrative. But running Washington doesn't mean controlling what matters. There's has been near-constant conversations about age and generational divides within the electorate since the latest democratic primary began. Do democrats really want someone young? Why then do former Vice President Joe Biden and Sen. Bernie Sanders keep ranking near the top of the polls? Is that just because voters know their names -- or something else? Is Mayor Pete Buttigieg too young? Does Beto O'Rourke still count as young? Do older Americans care about the stories and allegations of unwanted touching lobbed against Biden? Do younger voters care about issues like climate change or gun control? Over the course of this presidential campaign, there will be debate, strategy and polling on all of this. Going into those conversations, keep in mind some key facts about what makes millennials distinct -- facts that should change how candidates try to talk to them. From our most recent ABC News/Washington Post poll at the start of the year: Millennials -- Americans between the ages of 23 to 38 -- differ from their elders in substantial ways, politically and demographically. They're more racially diverse, less religious and more apt to live in urban areas. Specifically, by 14 percentage points, they are less apt to be white; by 15 points they are more likely to reside in urban areas; and by 13 points they are less apt to live in rural areas. Finally, by 13 points they are more likely to cite no religious affiliation. 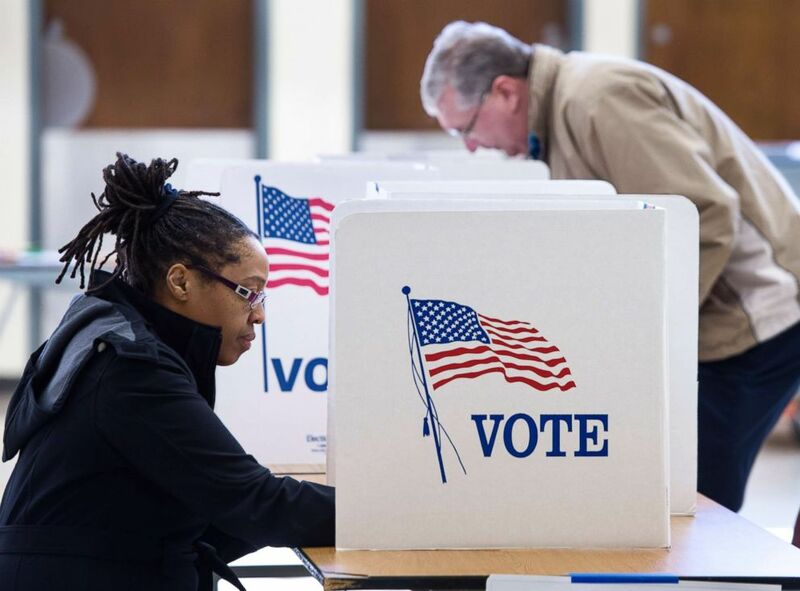 While Democratic presidential hopefuls carve out positions on a range of issues, in some surveys, the majority of voters are telling pollsters that their main interest is simple: Who will beat Trump? The easiest way to showcase that? Start campaigning in the states that could deliver a blue victory come November 2020. Iowa, New Hampshire, South Carolina and Nevada are still as popular as ever, but it shouldn't be a surprise that O'Rourke and Sen. Amy Klobuchar made early trips to Wisconsin and Michigan, two states that favored Trump by fewer than 35,000 total votes. Or that Sanders is about to cover similar ground on Friday and appear in Indiana, Ohio and Pennsylvania. Sen. Amy Klobuchar addresses voters while campaigning for the Democratic presidential nomination at the Pizza Ranch restaurant March 16, 2019 in Independence, Iowa. Plenty of ink has been spilled on the rise of the Democratic Party's left wing and its influx of progressive ideas, but even the Socialists will tell you that, unlike in 2016, it'll be worth compromising on a candidate if it means replacing the current administration. Though if Sanders can demonstrate crossover, swing-state appeal this weekend, the emerging left might be able to argue that he alone could kill two birds with one campaign. Georgetown University could become the first college in the nation to mandate a fee to benefit descendants of slaves. Students on Thursday voted by almost a 2-to-1 margin to approve such a referendum, which still must be approved by the university to go into effect. If enacted, students would pay an extra $27 per semester. In 1838, Georgetown Jesuits sold 272 slaves when the university was in a financial bind. President Donald Trump will talk about the deployment of 5G networks at 2:25 p.m. and later meet with the executive board of the Fraternal Order of Police. Sen. Bernie Sanders tours several Midwest battleground states this weekend, stopping in Wisconsin, Indiana, Michigan, Ohio and Pennsylvania during a four-day swing. Presidential candidate and former Rep. Beto O'Rourke travels to South Carolina for a three-day swing of grassroots events. He plans to drive through Charleston, Clemson, Denmark, Beaufort and other communities. Sen. Elizabeth Warren heads to New Hampshire for several events throughout the weekend in Concord, Portsmouth, Durham, Hanover, Lebanon and Londonderry. 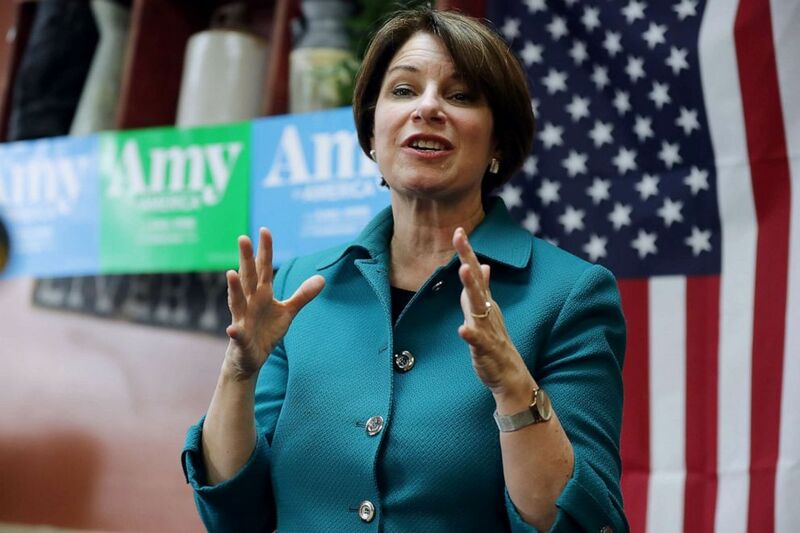 Sen. Amy Klobuchar makes a stop in Des Moines and Nevada, Iowa, for two campaign events before heading west to Colorado to headline Saturday's closing event at the University of Colorado Boulder's 2019 Conference on World Affairs. Former President Bill Clinton and former Secretary of State Hillary Clinton continue their speaking tour, "An Evening with the Clintons," in Philadelphia on Saturday. Presidential candidate and Washington Gov. Jay Inslee returns to New Hampshire on Sunday for a town hall with environmental and progressive organizations at 6 p.m. in Hollis. Presidential candidate Sen. Cory Booker travels home to Newark, New Jersey, to host a kickoff rally at 9 a.m. on Saturday and launch his "Justice for All" tour -- his first national campaign tour as a candidate for the White House. Mayor Pete Buttigieg heads home to South Bend, Indiana, for a "special announcement" on Sunday. He announced his exploratory committee back in January. Presidential candidate and former Rep. John Delaney visits Concord High School in New Hampshire to roll out a proposal to create a new national service program at 4 p.m.
Presidential candidate and former Department of Housing and Urban Development Secretary Julián Castro is set to stop in Davenport, Muscatine, Iowa City and Des Moines, Iowa, starting on Sunday. Presidential candidates Marianne Williamson and Andrew Yang will answer questions from a live audience at back-to-back CNN town halls on Sunday starting at 7 p.m.
Download the ABC News app and select "The Note" as an item of interest to receive the sharpest political analysis every weekday.